Donatienne Michel-Dansac will focus on three aspects in her vocal class at the Darmstadt Summer Course 2018: In their daily work with her students can present solo and chamber music repertoire and receive solo lessons, but the course participants can also work on two selected pieces for chamber music with voice within our Chamber Sessions project (Tutor: Marcus Weiss). Donatienne Michel-Dansac would like to deepen this topic once more in her class (for example in a piece like Helmut Lachenmann’s temA). 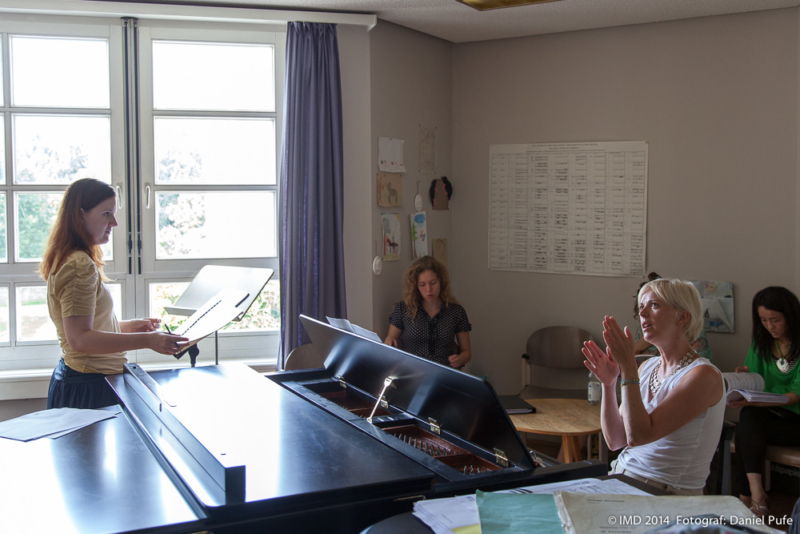 In addition, Donatienne Michel-Dansac offers for the first time on every second day of the Summer Course an Open Lab for composers and interpreters, to which interested people are invited to participate with any questions on vocal or performative techniques. Here the participants can and should experiment, try out, reject and think along with Donatienne Michel-Dansac.